He announced the completion of the building in an Instagram post on Tuesday, July 18. "My crib complete!! Big ups @_infiniteconstruction", the 'Fall' singer captioned a picture of the all-white painted masterpiece. 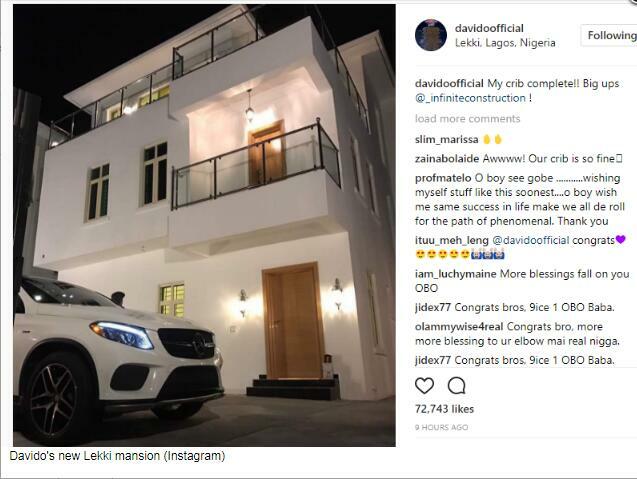 Born David Adeleke, Davido also own a vacation house in Atlanta, Georgia, United States. It is, however, not clear when the HKN Music and Davido Music Worldwide (DMW) boss will be moving into his new crib. Meanwhile, Davido's reps are denying reports that the singer's crew members suffered black eyes from a Mr Chris in London. Pulse reached out to the singer's rep Vanessa Amadi who told us the story is untrue. She said, "this story is completely false." Mr Chris, a self-proclaimed socialite, claimed he almost beat up the OBO singer at a club in London. 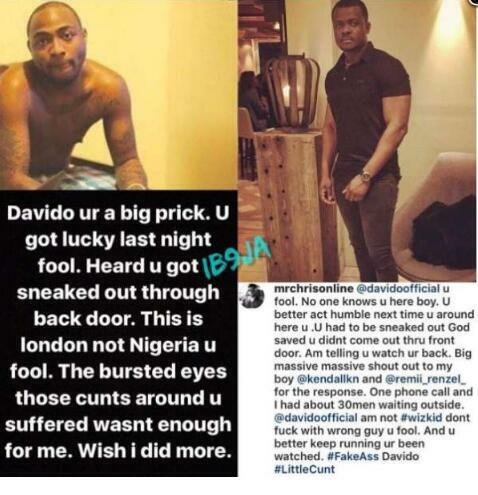 According to him, Davido was sneaked out by his crew mates through the back door.